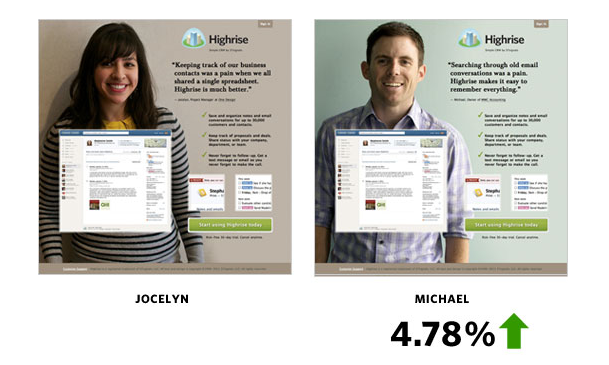 Growthfluence > Insights > Conversion Rate Optimization > What is Conversion Rate Optimization? What comes to your mind when you think of Conversion Rate Optimization? Sales? Signup? or Engagement? If you thought so you are right. It’s basically the action you want people to take on your site and improving some elements to improve your conversions based on interactions and analytics. Whatever it is you want your visitors to do, this action is what you are going to measure and what you are looking to optimize. In the introduction, we briefly defined CRO as the method of using analytics and user feedback to improve the performance of your website. Conversion rate optimization is finding why visitors aren’t converting and finding and applying solutions to improve the rate of conversions. These are concepts and ideas that will come up again and again in the forthcoming articles, so now is the time to familiarize yourself with them. The primary button, link or other user interface element that asks the user to take an action that leads to (or towards) a conversion. A “Buy Now” button on Amazon.com, a “Sign Up” button on an email registration field, a “Download Now” on an app landing page are examples of different Calls to Action. The primary pathway (or flow) of the user experience where visitors complete a conversion. On Amazon.com the funnel may be Home page > search results page > product page > checkout. The testing of one version of a page or interface element against another version of the same thing. Each element is measured by its effectiveness in comparison to the other. For example, a red button measured in effectiveness to a green button. In A/B testing only one thing is tested at a time. The testing of multiple variations of many different page elements in various combinations to determine the best performing elements and combinations. For example, a multivariate landing test may test many variations of the pictures, copy, and calls to action used on the page in many combinations to find the best performer. Conversion Rates Your Total Conversions is the number of people who did whatever it is defined as converting (email newsletter, made a purchase, and so on). To get your Conversion Rate, you divide the above total number of conversions by the number of visitors to your site. For example, a site with 5000 visitors and 50 conversions has a conversion rate of 1%. But how long are people spending on your site? Which pages are they visiting while there? This next set of numbers can help you to form some testable hypotheses. Looking at your Bounce and Exit Rates, as well as your Engagement Metrics, is the first step in making sense of your conversion rate. These are the metrics that matter. Take the example above—the site with 5,000 visitors per month but only 50 conversions could either pat themselves on the back for all those unique visitors or recognize that their conversion rate could be much better than 1% and then work to optimize those numbers. 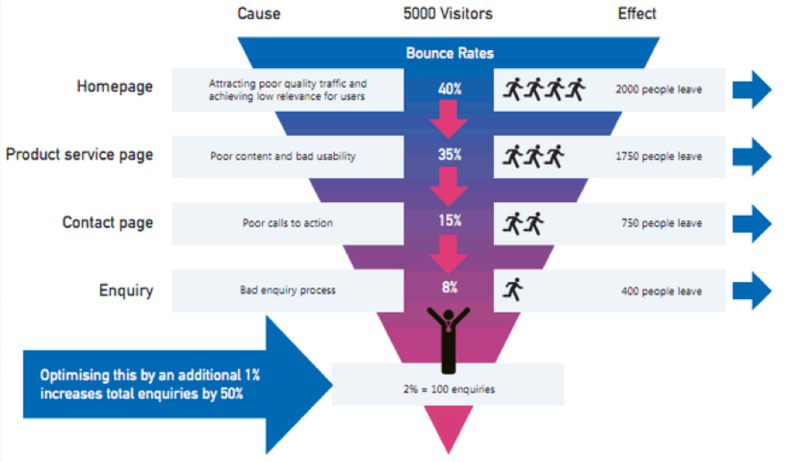 Your Bounce Rate is the percentage of people who leave after viewing a single page. A high bounce rate is not a good thing–for whatever reason, people aren’t finding what they’re looking for so they leave almost immediately. An Engagement Metric, the Average Time on Site of users gives you a general idea how long people are sticking around. A high bounce rate means a low average time on site — visitors aren’t sticking around long enough to do whatever it is you want them to do. Similarly, Average Page Views is an Engagement Metric that tells you how many pages the average visitor through before leaving. More page views can mean engagement but also can mean a lack of clarity in your conversion funnel, if there is no conversion. 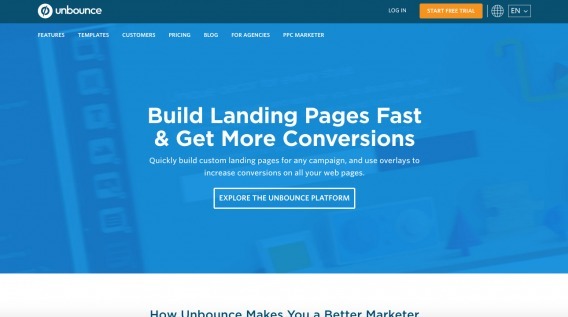 Getting to grasp these best practices will keep your landing pages relevant and high-quality, which will lead to a valuable boost in both CRO and Quality Score.